Wedding rsvp, reply cards, Love birds, Dublin, Ireland. 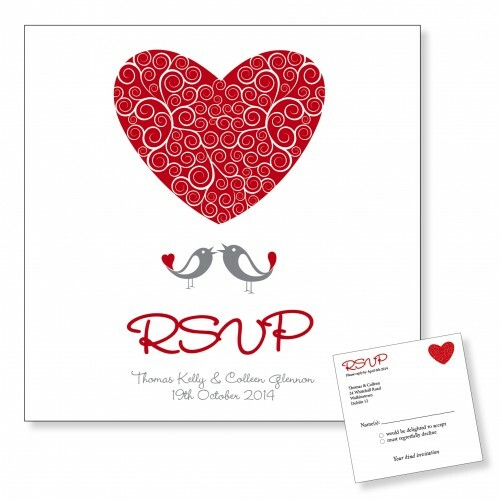 Double sided reply card (rsvp) with love birds. Come with free 100gsm white envelopes and free delivery in Ireland.